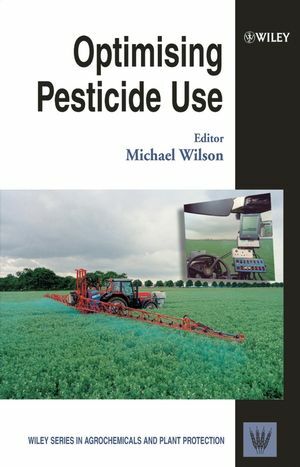 This text will provide essential information to workers in the pesticide industry and regulatory community who need to be aware of current thinking and advancements in the optimal use of pesticidal compounds and systems, as well as environmental organisations and aid development organisations. Michael Wilson is a Professor of Microbiology in the Faculty of Biomedical Sciences at University College London and is Director of the Eastman Centre for Microbial Diseases within this university. He holds a PhD in Microbiology from University College Galway, Ireland, a Doctor of Science from the National University of Ireland and is a Fellow of the Royal College of Pathologists. He has written and/or edited eight books and published more than 270 scientific papers in the fields of microbiology and infectious diseases. 2. Pesticide Usage Monitoring (M. R. Thomas). 3. Application Technologies (J. C. van de Zande, C. S. Parkin and A. J. Gilbert). 4. Handling and Dose Control (P. C. H. Miller). 5. Specialised Application Technology (G. A. Matthews). 6. The Aerial Application of Pesticides (N. Woods). 7. Formulating Pesticides (R. Sohm). 8. Rational Pesticide Use: Spatially and Temporally Targeted Application of Specific Products (R. Bateman). 9. Complementary Pest Control Methods (C. H. Bell, D. M. Armitage and B. R. Champ).